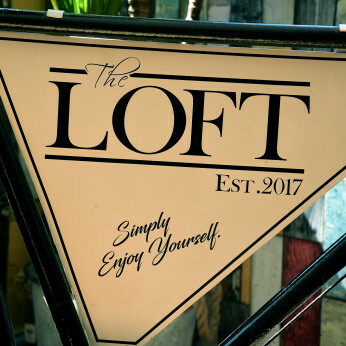 Launched in 2017, THE LOFT restaurant is one of the best places to eat in Neath. With its contemporary design and relaxed atmosphere it is the perfect setting for a romantic meal, special celebration or simply an opportunity to unwind. Part of The Glyn Clydach, The Loft is a modern restaurant and bar located in an idyllic part of Neath just a short distance away from the town centre and easily accessible from M4 links, Swansea and Port Talbot. The atmosphere at The Loft is relaxed, warm and comfortable. The team of chefs are committed to ensuring all their meals are served fresh and bursting with flavour. The meals are all cooked to order so if you are in a rush it is advisable to pre-order in advance to avoid any disappointment. The front of house team are friendly and professional and all together as a team they are dedicated to making sure your visit is an enjoyable one. Our delicious new menu provides something to tantalize everyone's taste buds with vegan and vegetarian options available too. Gift vouchers are available to buy from our reservations team. The Loft is open daily serving food 12pm-3pm and 5.30pm-9pm Tues-Sat, 12pm-3pm Sundays. With its stunning panoramic views our glass fronted patio is the ideal place to sit for a spot of summer lunch or for a winter walk drink stop. Dogs are welcome in our gardens and patio areas, we have dog treats available at the bar and water bowls too. We are looking for someone with at least 2 years experience, passion and enthusiasm about cooking. The role is full time. Weekend and evening work. Wage will be negotiated based on experience. Looking for a restaurant manager to join our team. Someone who is enthusiastic and has experience in the catering industry. Hours mainly weekend and evenings. Looking for someone to start ASAP.